The Care Quality Commission's former director of strategic marketing and communications Jill Finney has been identified as one of three staff involved in an alleged cover-up of NHS failings. The cover-up was alleged this week by an independent report commissioned by the CQC, which looked into the handling of an internal CQC review concerning allegations of poor care within Morecambe Bay NHS Foundation Trust's Furness General Hospital. The independent report found evidence of ‘deliberate suppression of an internal CQC report’, which ‘may constitute a broader and ongoing cover-up’. It alleged that at a meeting in March 2012, it was decided that the findings of the review by the CQC's head of regulatory risk and quality Louise Dineley should not be made public due to its criticism of the regulator. The independent report orginally did not name names, but the CQC has now revealed that Finney, in her dual role as deputy chief executive and director of comms, along with media manager Anna Jefferson and chief executive Cynthia Bower, were the other CQC staff present at the meeting. Current CQC head David Behan said the decision to name them was in the public interest. According to the independent report, Dineley claimed that at the meeting Finney had instructed her to delete the review report, an instruction she claimed was verbally supported by Bower and Jefferson. 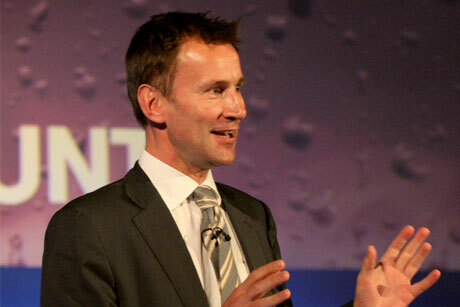 On the publication of the independent report, the CQC said there was evidence of a failure of leadership within the CQC and a dysfunctional relationship between the executive and the board, and that there was evidence of a ‘defensive, reactive and insular culture that resulted in behaviour that should never have happened’. Finney resigned from the CQC earlier this year after four years with the public body, which she initially joined as director of engagement. Finney has denied instructing that the report be deleted and said she informed the team that carried out the subsequent independent review of the internal report. Since Finney's departure, CQC comms has been led by head of comms Chris Day on an interim basis. Under a restructure initiated by Behan, comms has now been incorporated into the remit of director of strategy and intelligence Paul Bates. Bates moved to the CQC in March from Downing Street, where he was senior policy adviser on health and social care to David Cameron and Nick Clegg. The restructure removes comms from a board level within the regulator. Finney has held a number of senior marcoms roles, including director of marketing and comms at the British Library and national marketing director at Ernst & Young. Finney’s role as chief commercial officer at Nominet, which she took up in February, was terminated yesterday following the revelations. In a statement from Nominet published online, it said: ‘The increasing public scrutiny over our CCO’s former role at CQC has made it impossible for her to continue with her role and responsibilities at Nominet.